Size 36, 38, 40; 50 needles for $19.95. Star and Spiral 38 needles in small and bulk packs. Felting needle cases. A nice variety of felting needles available in bulk at a great savings - never run out! Sspiral needles to speed up the felting process. Price drop on bulk needles! 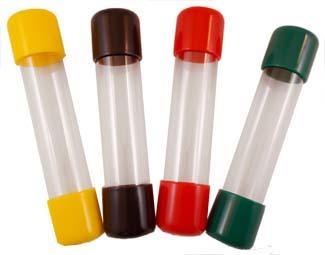 50 pack of tri point needles only $19.95. 50 Star point needles now $35.95. 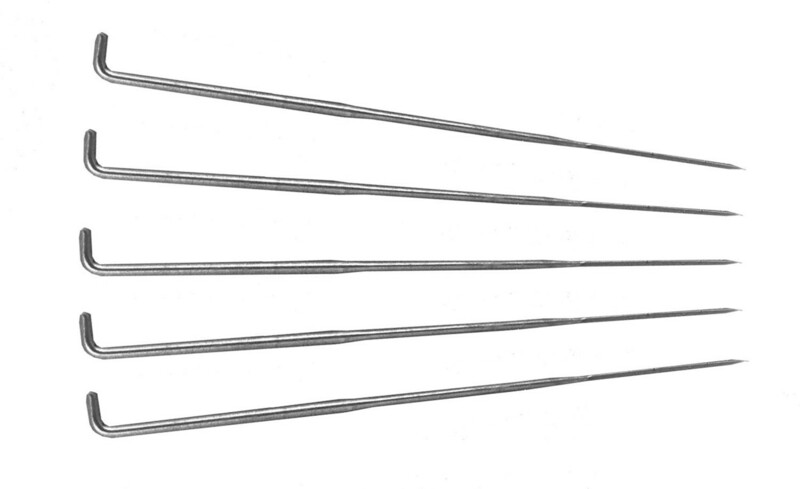 SIZE 36 felting needles: is the largest shaft for fastest felting, but the large shaft may leave little indentations. SIZE 38 felting needles: a medium sized needle for all-around work. SIZE 38 STAR POINT felting needles: used for both rough and fine work. 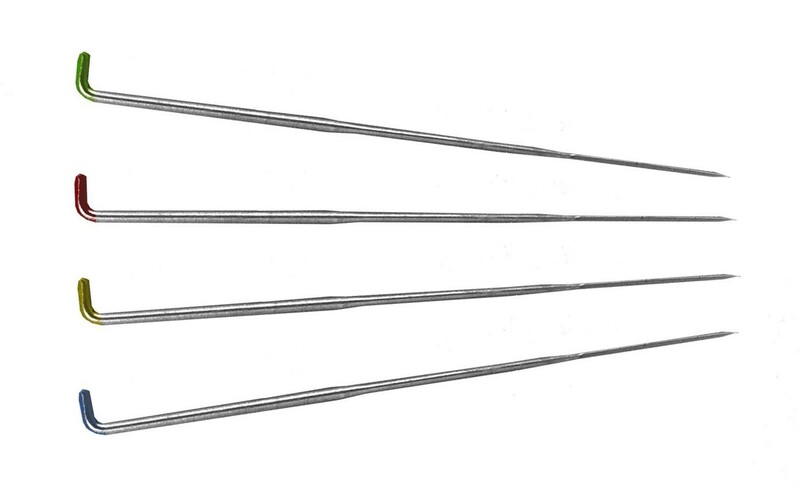 The star point has 4 edges and thus more barbs, pulling more fibers with each punch without leaving large holes. SIZE 40 felting needles: has the finest shaft for shallow, fine detailing work. 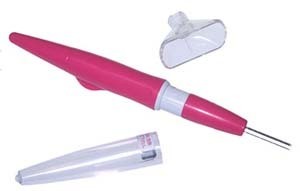 The spiral needle has a twist into a spiral shape, makes each stroke much more efficient.